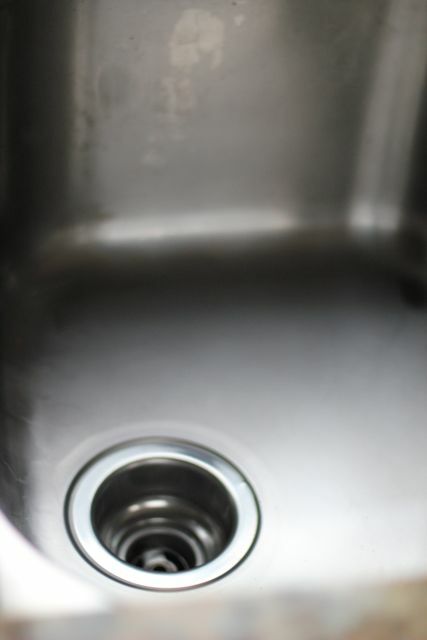 Let me show you how grody the sink was. 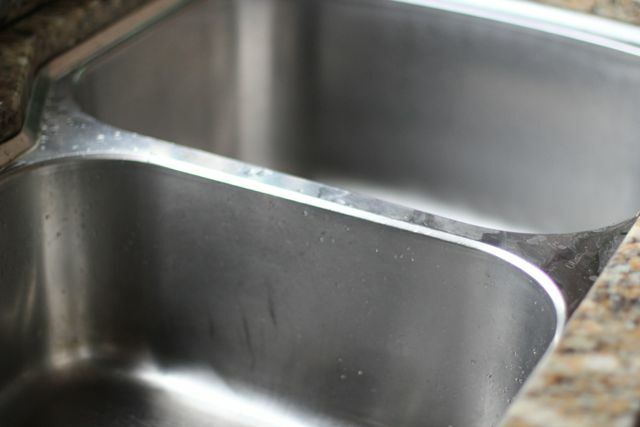 So moving on..let's get this baby clean! 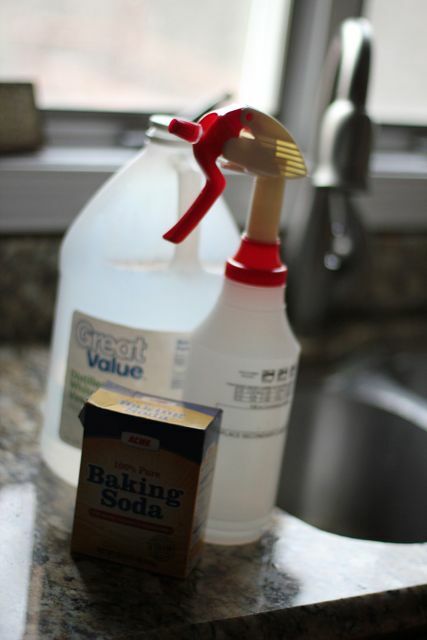 Sprinkle baking soda over entire sink and spray with white vinegar. Scrub clean with sponge. 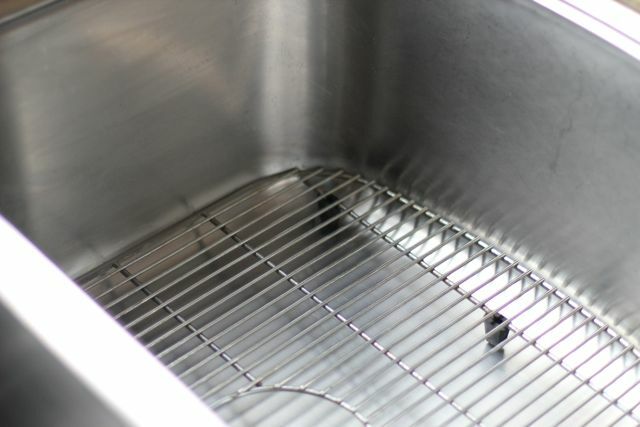 I also took out the rack and scrubbed it on both sides. 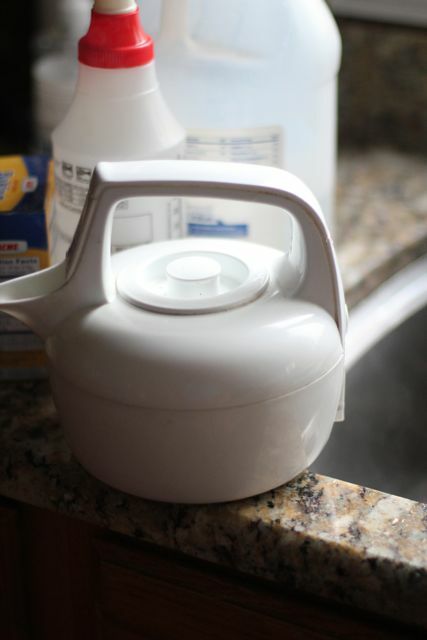 Rinse everything with a pot of boiling water and wipe dry. 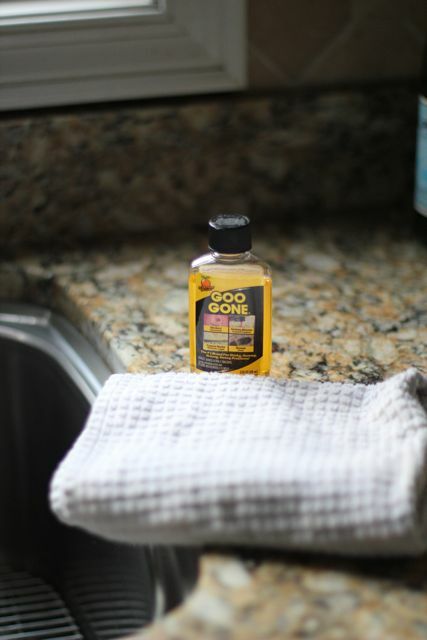 Apply Goo Gone (optional) for any gooey residue, wiping clean. 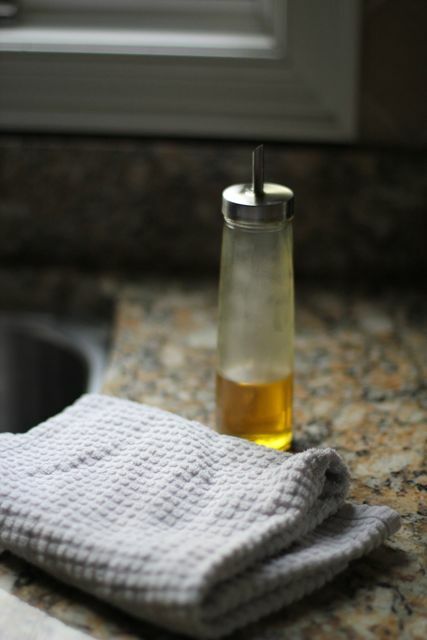 Use a soft cloth to apply olive oil to the sink and buff dry. 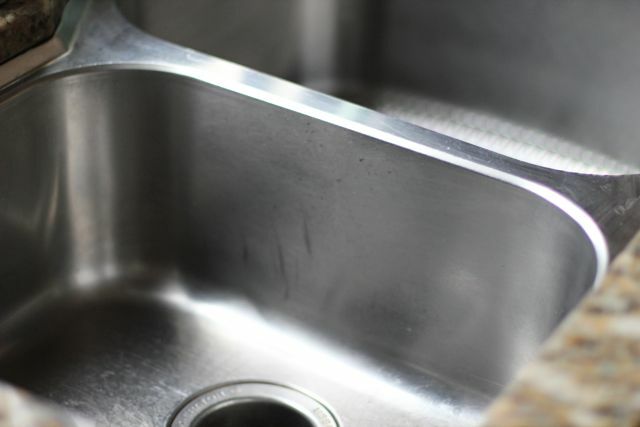 Bask in the reflection of your clean, shiny sink. I really have to remember to do this more often. 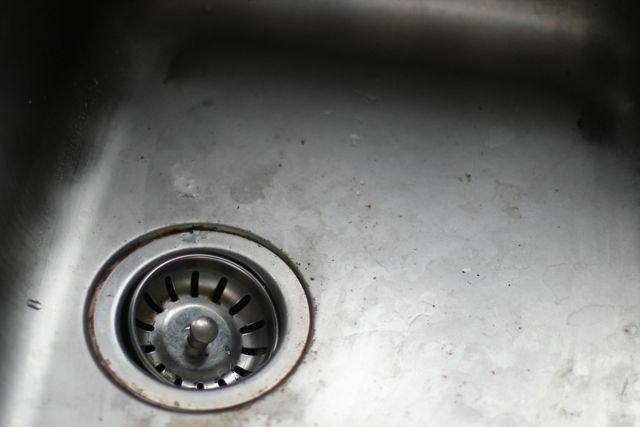 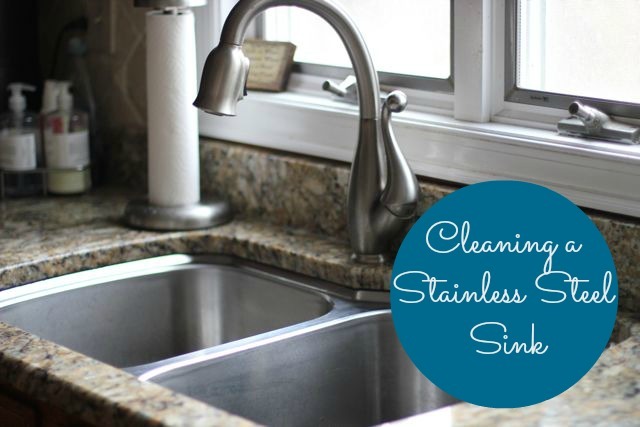 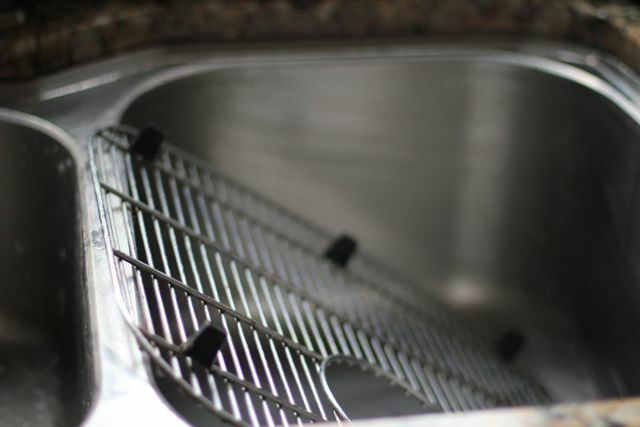 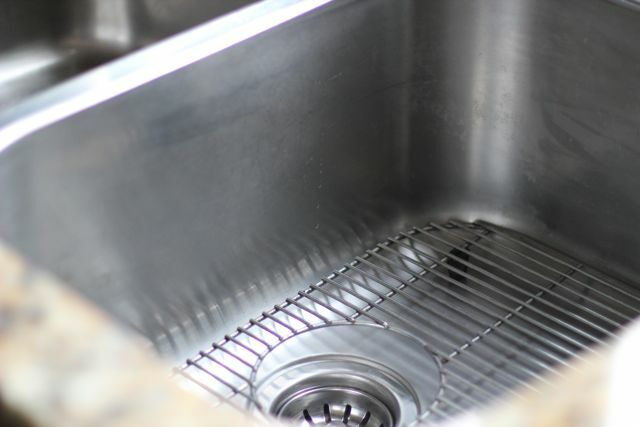 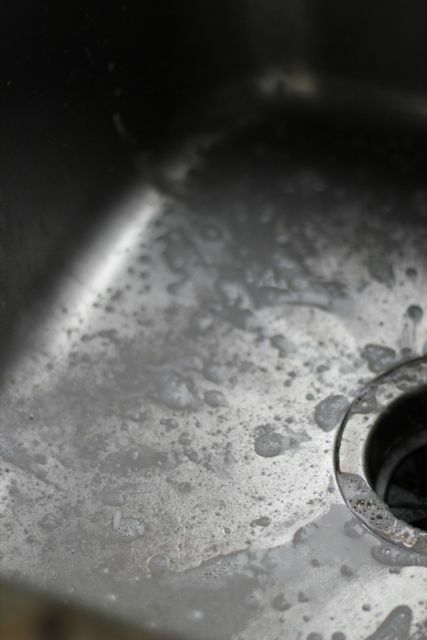 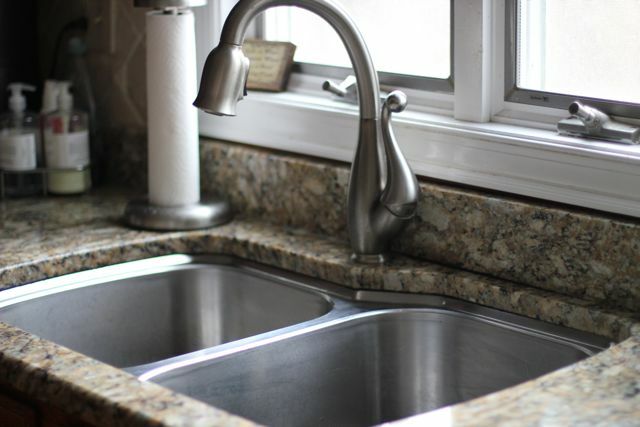 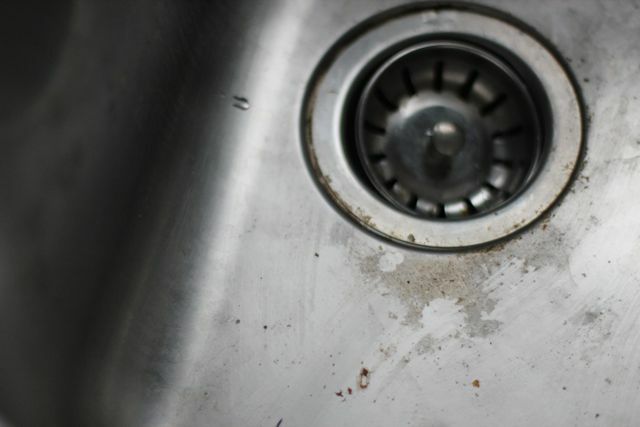 What are your tricks and tips for cleaning stainless steel sinks?